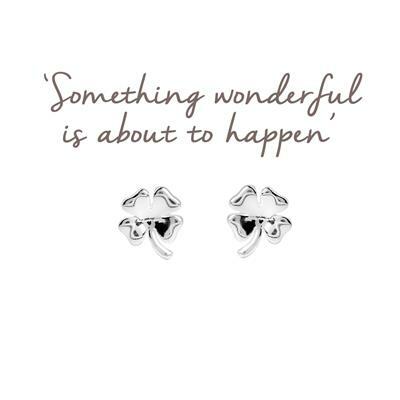 These beautiful studs from the Mantra collection are made from 925 Sterling Silver. The four leaf clover is the traditional symbol of good luck and will make a fabulous gift for anyone needing some luck in their life. Whether they're starting a new job, getting married or going for a job interview, help inspire confidence in their life.